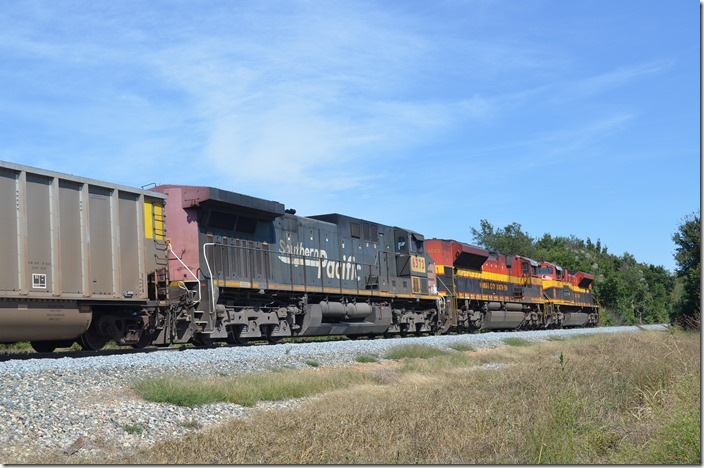 CSXTHS - Rail Fanning - KCS - McElhany, MO - Westville, OK, 09-24-2014. Part 1. 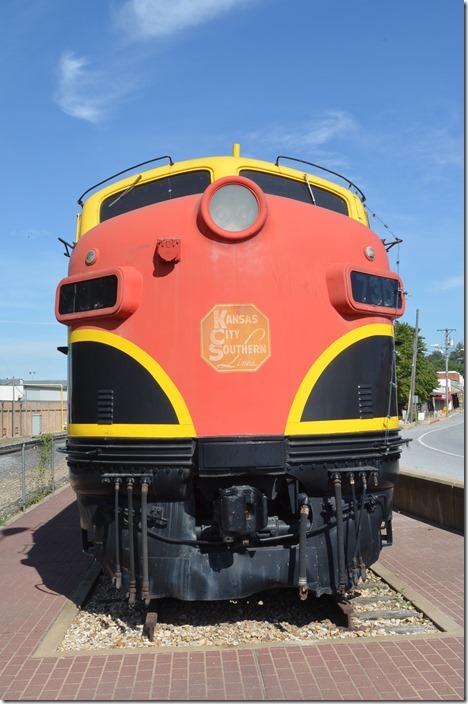 KCS - McElhany MO - Westville OK, 09-24-2014. Part 1. 1. 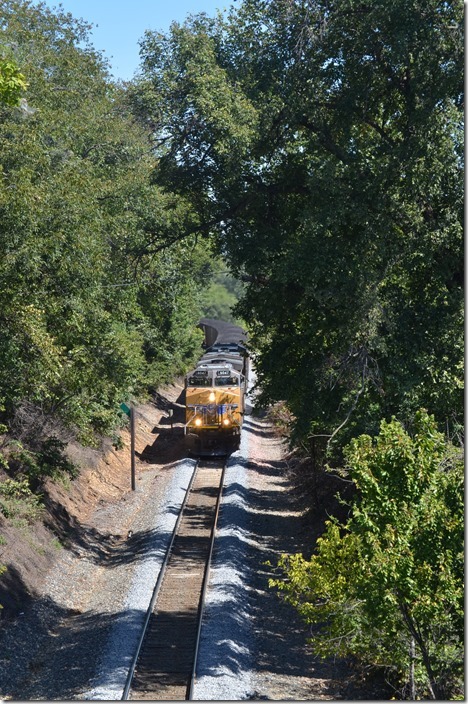 McElhany is an 18,250-foot passing siding with a crossover in the middle. 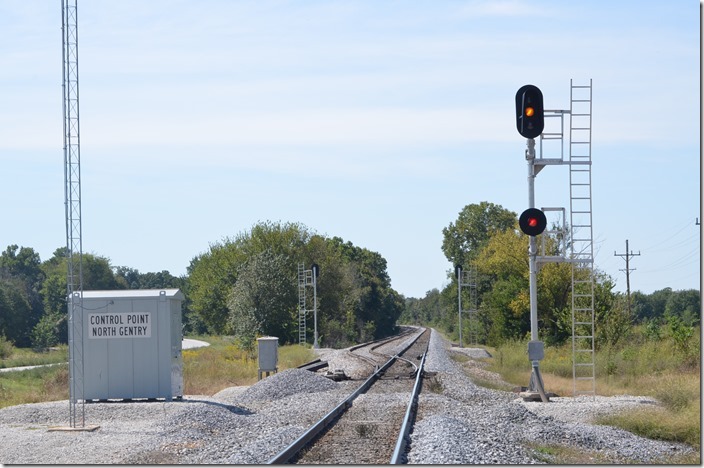 KCS signal McElhany MO. 2. 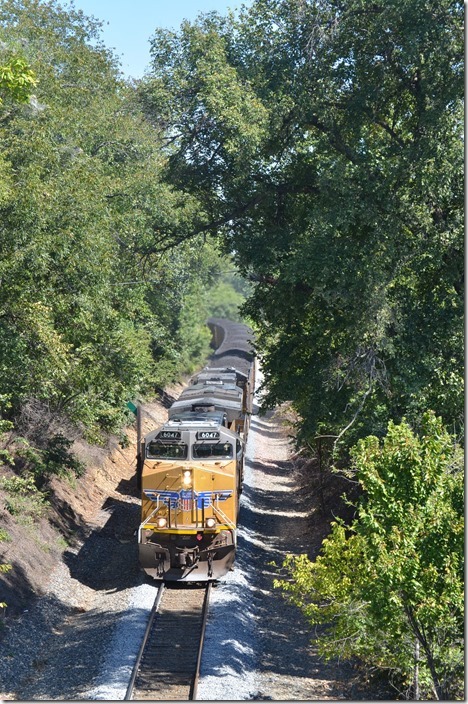 Southbound coal train C-KCFL (Kansas City-Flint Creek AEP) tops a saw-tooth grade at McElhany MO behind UP 6047-7719. 3. 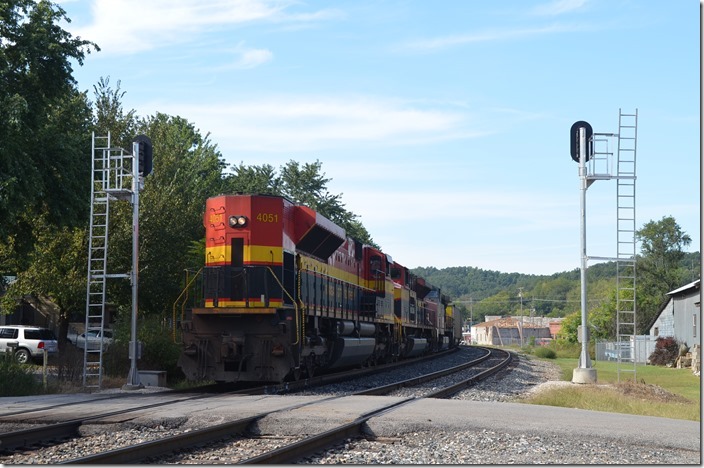 UP 6047-7719 McElhany MO. View 2. 4. 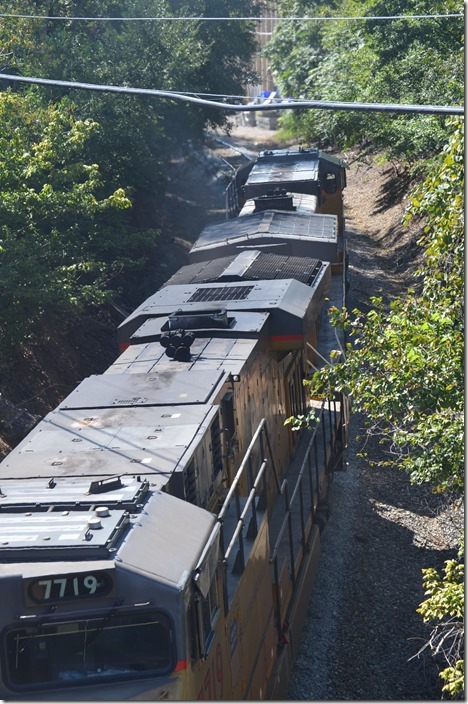 101 AEPX tubs later, came UP 6372-KCS 4043-KCS 4051 working in DPU mode in place of manned pushers. McElhany MO. 5. 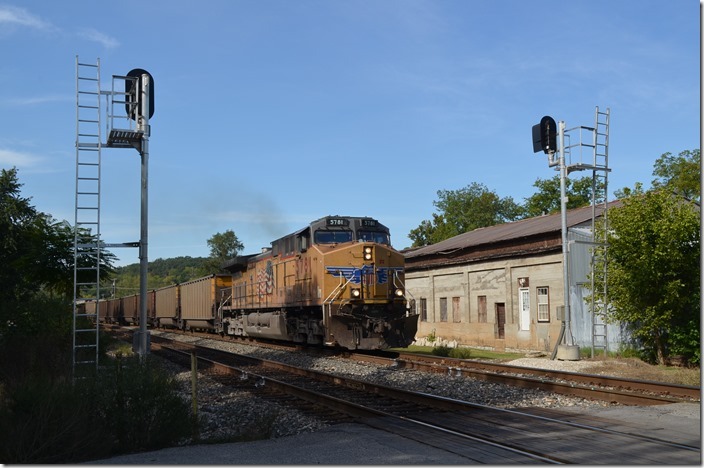 SD50 7008 was parked in the siding on a work train. 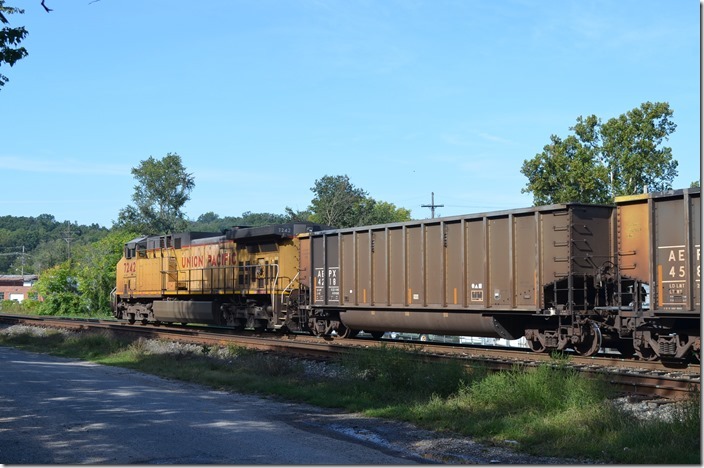 This unit came from NS but was originally Conrail. 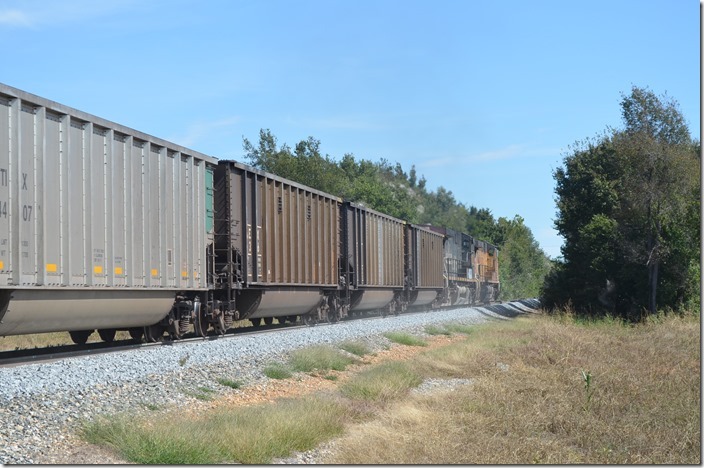 Looks like a Scorpion ramp car for the ease of loading track equipment behind the engine. McElhany MO. 6. 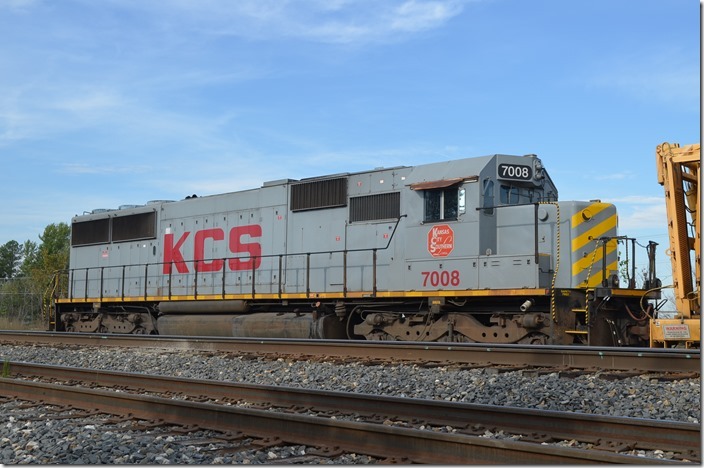 KCS SD50 7008 McElhany MO. View 2. 7. Once over this summit C-KCFL picked up speed to the maximum of 40 m.p.h. We hustled ahead to Noel MO, about 20 miles south. C-KCFL slows to meet a northbound. 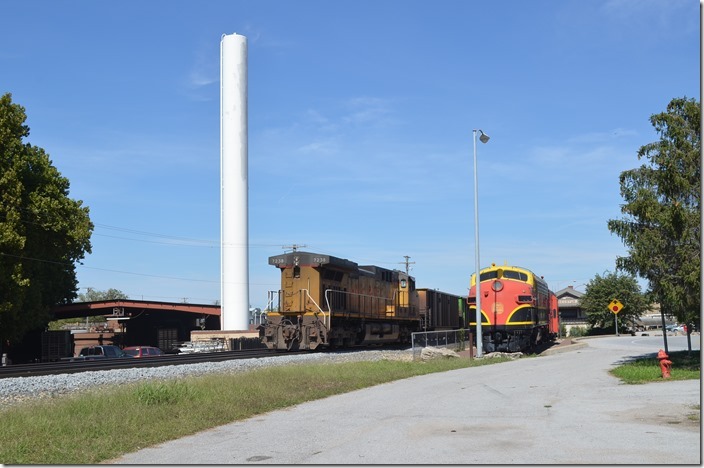 Noel has a 8,513-foot passing siding. 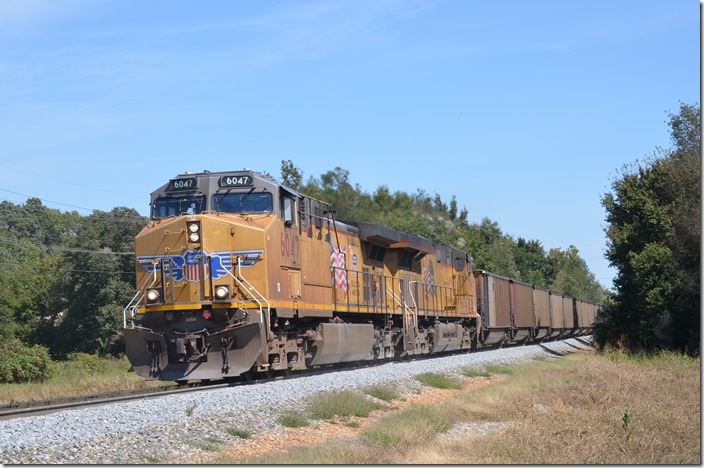 UP 6047-7719 Noel MO. 8. 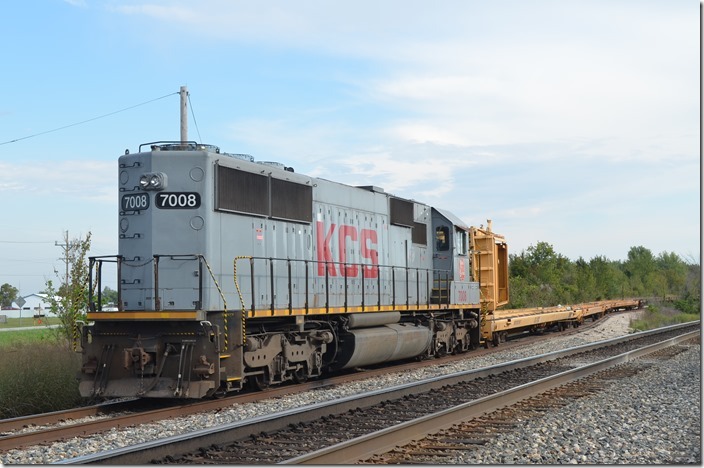 KCS 4051-4043-UP 6372. Noel MO. 9. 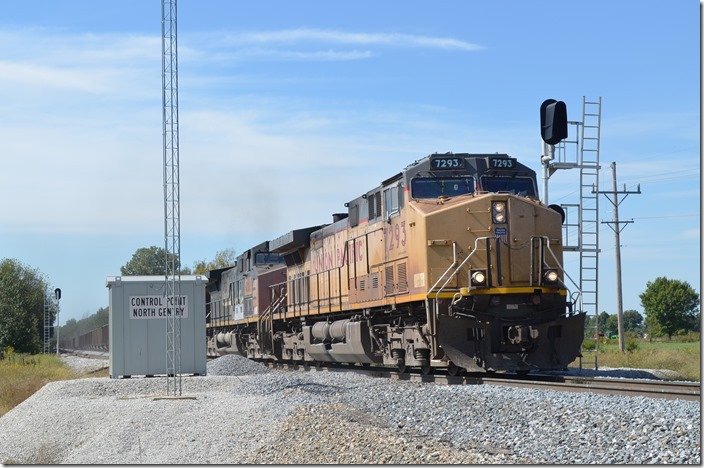 He meets northbound C-FLKC on AEP empties behind UP 5781. No two-headed signals here. I don’t have a KCS rule book. Noel MO. 10. UP 7242 is the DPU. Noel MO. 11. Out on the main. UP DPU 7242. Noel MO. 12. 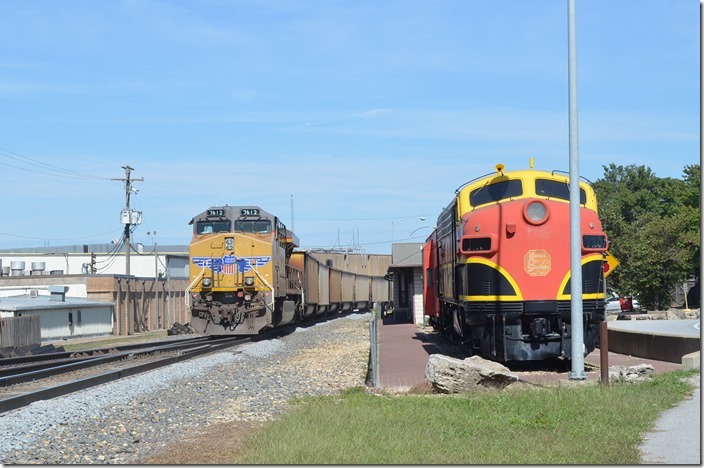 In Decatur AK we found F7a 73D on display with a caboose. 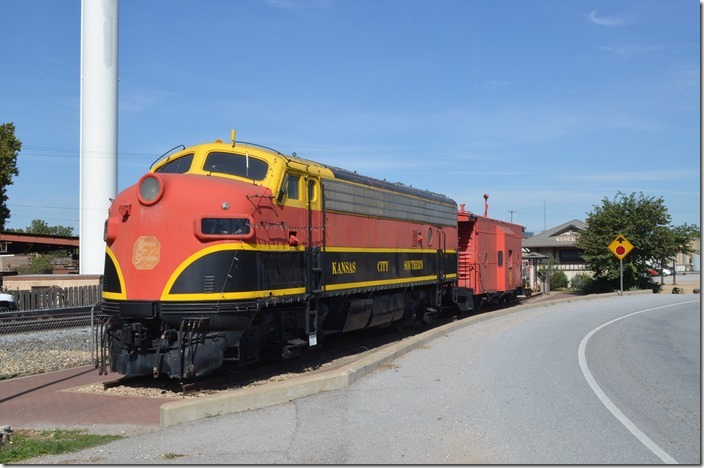 There is a museum in the former depot. 13. KCS F7A 73D. Head on view. Decatur AK. 14. C-KCFL was to meet another n/b at Dorsey, a siding about three miles north of Decatur. We didn’t find access to either end, so we elected to shoot C-WEKC (Welsh TX AEP to KC mtys) at the south end of the passing at Gentry AK. UP 7293-6228 N Gentry AK. 15. 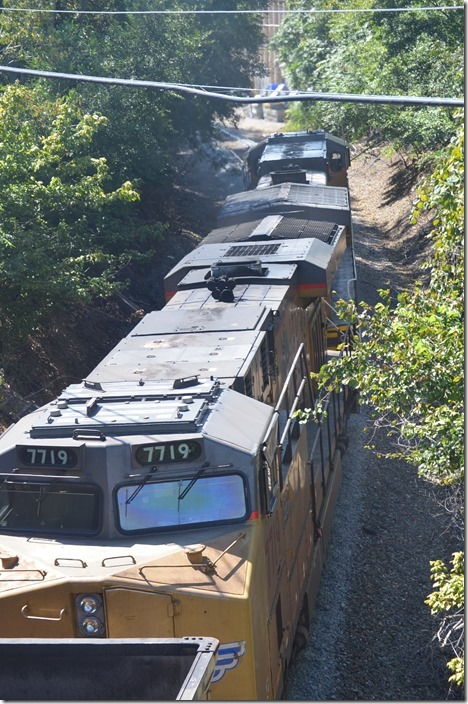 UP 7293 and ex-SP 6228 hustle the 126 AEPX empties. N Gentry AK. 16. Followed by DPU UP 7612. N Gentry AK. 17. Downgrade through Decatur AK. UP DPU 7612. 18. 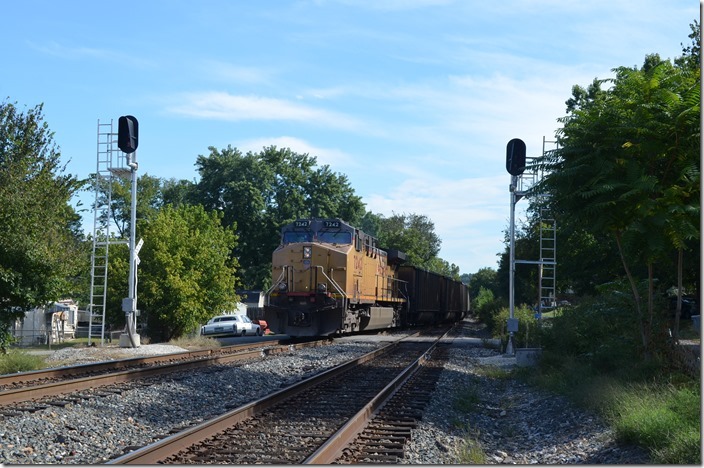 We were surprised by another northbound AEPX empty coal train. UP 7238 is the DPU on this train. 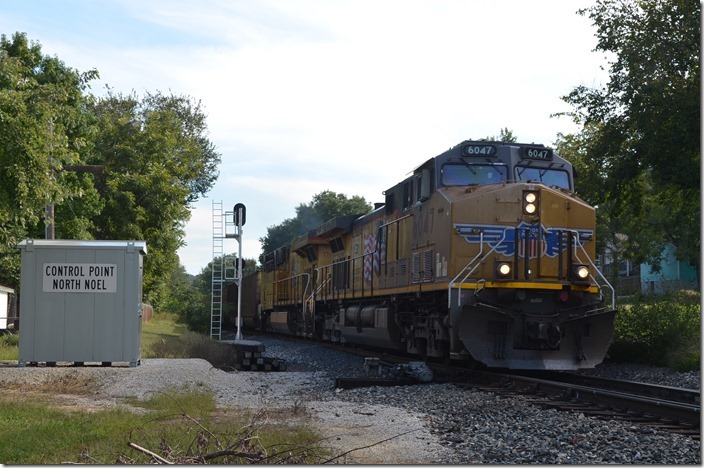 So far the day has been Union Pacific and AEP! Decatur AK. 19. C-KCFL resumes its southward journey after the meets at Dorsey. It is pulling hard up the 1.5 percent grade into Decatur AK. UP 6047-7719. 20. 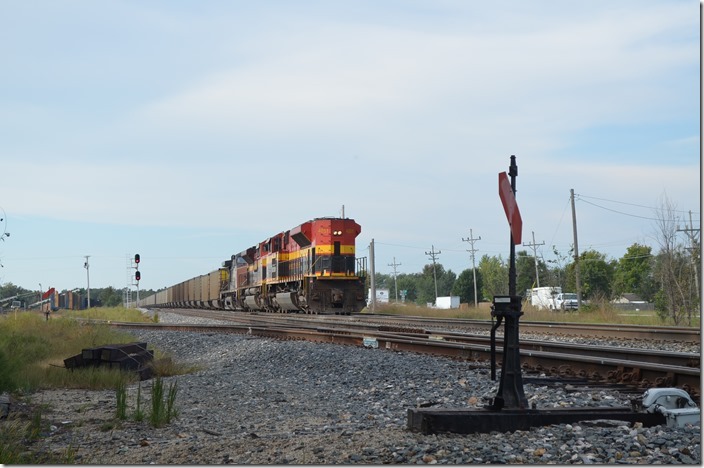 UP 6047-7719 Decatur AK. View 2. 21. 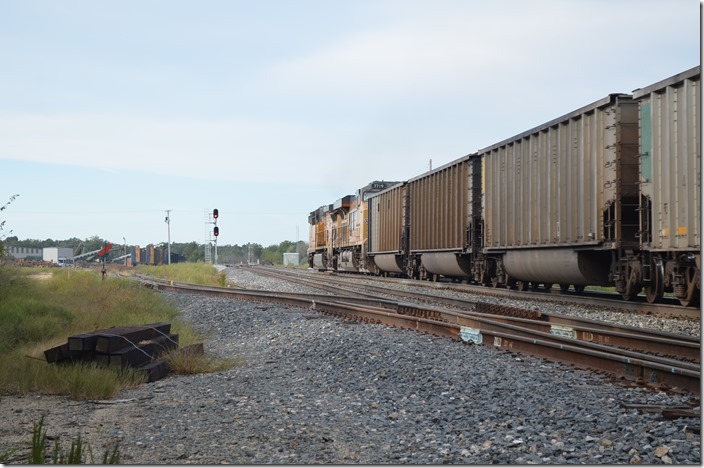 UP 6047-7719 Decatur AK. View 3. 22. 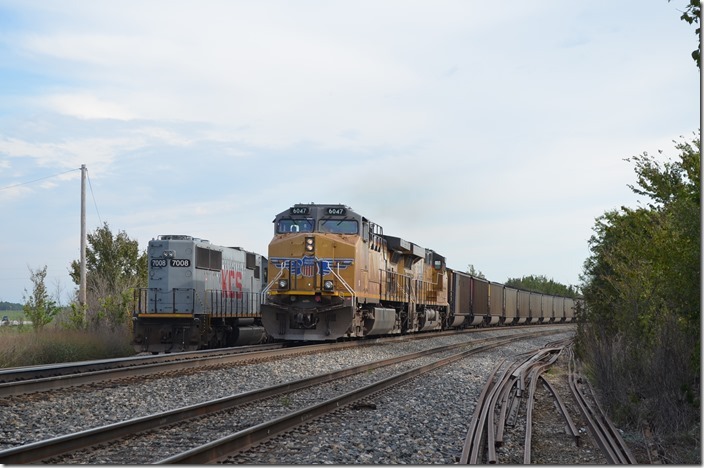 UP 6047-7719 Decatur AK. View 4. 23. 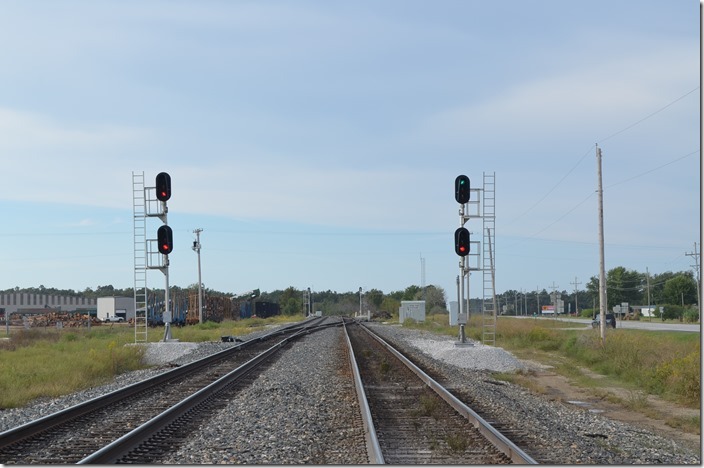 KCS approach signal at North Gentry AK. 24. UP 7047-7719. N Gentry AK. 25. 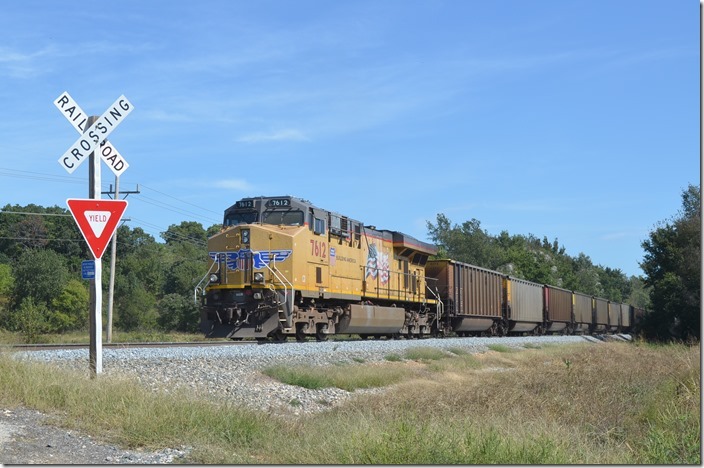 UP 6372-KCS 4043-4051. N Gentry AK.